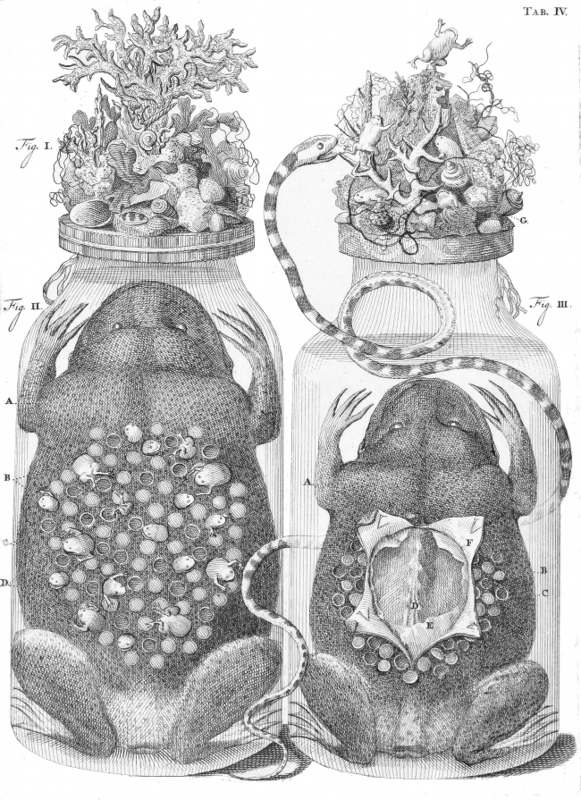 Frederic Ruysch (1638-1731) was a Dutch botanist and anatomist, remembered mainly for his groundbreaking methods of anatomical preservation and the creation of his carefully arranged scenes incorporating human body parts. 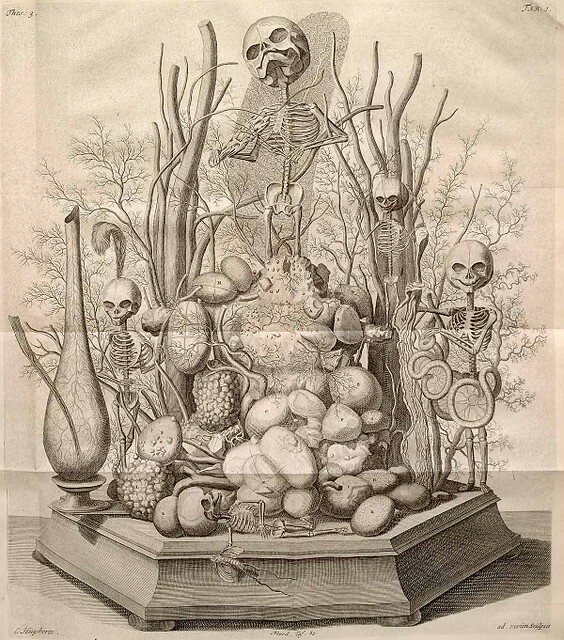 These remarkable ‘still life’ displays blurred the boundary between the demonstrative element of scientific preservation and the symbolic and allegorical of vanitas art. 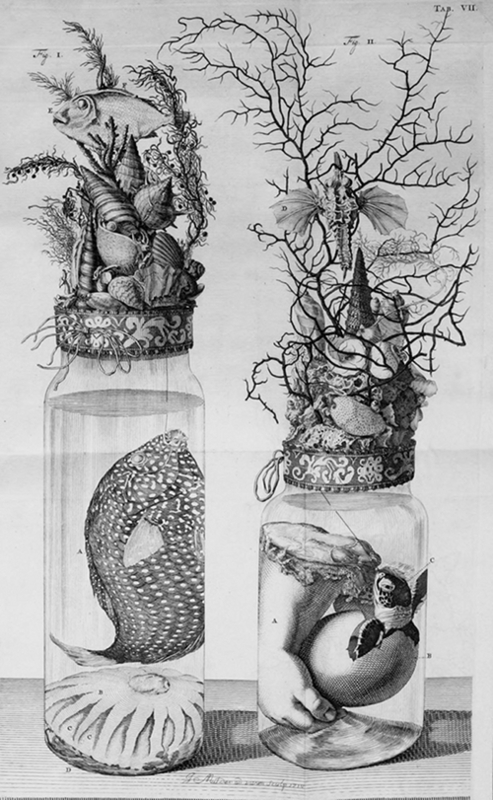 As well as his larger more elaborate anatomical displays (as seen above) he would also keep his specimens of limbs, fetuses and the carcasses of small animals carefully embalmed in individual glass jars. 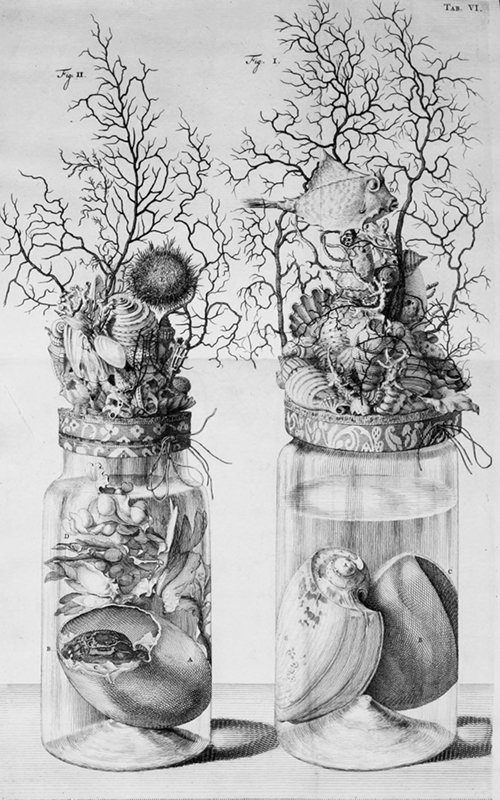 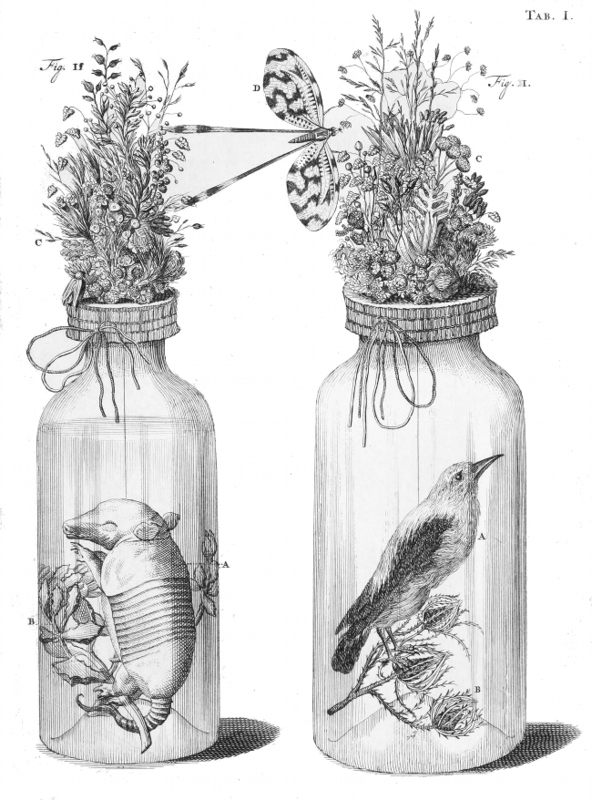 Offsetting the macabre contents he would create ‘flowering’ lids, decorating them with beads, fishes, shells, artificial flowers and lacy garments – the little scenes often echoing the life the jar’s contents had once known. 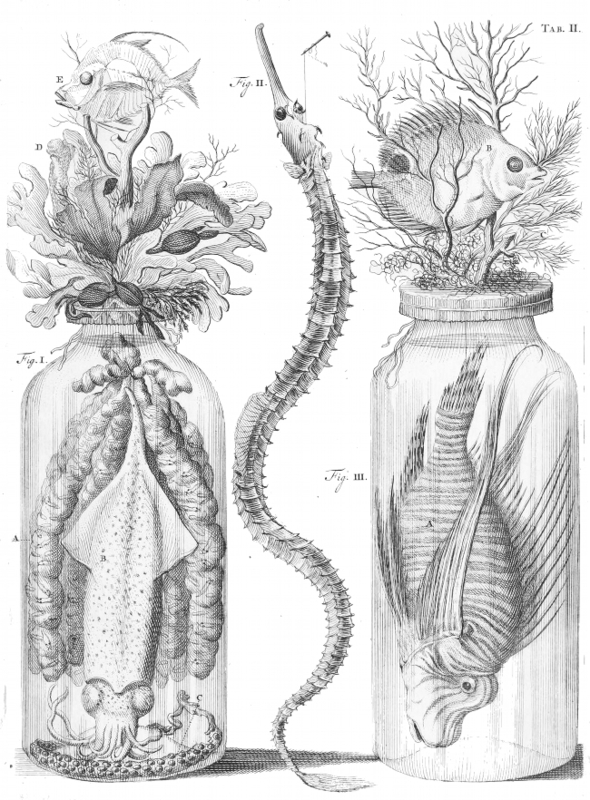 The images below are extracted from Ruysch’s Thesaurus animalium primus (1710).